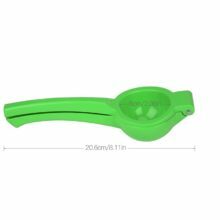 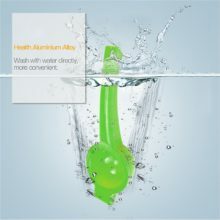 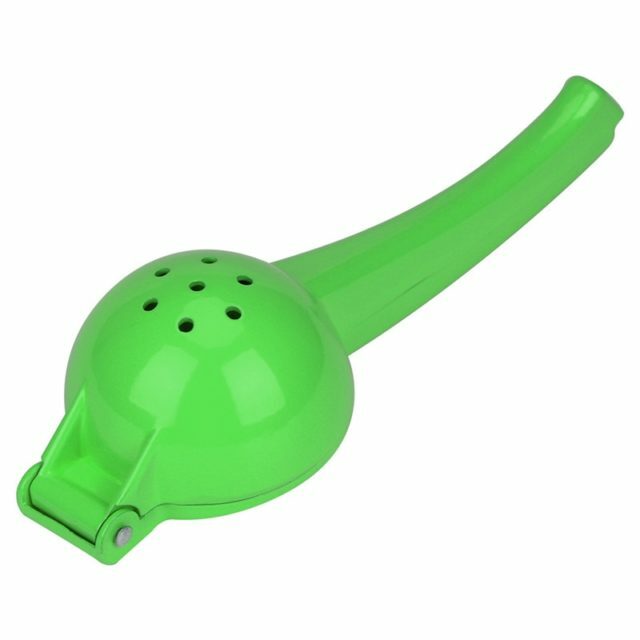 Made from medical grade aluminum alloy, which is health-friendly, durable, no-toxic and without harmful substance. Ergonomic handle and lightweight size is convenient for you to operate. 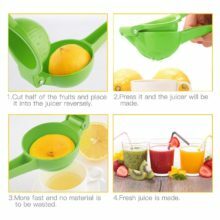 Comes with uniform filter holes, help to separate the residue and juice, which help offer you with more nutritious and delicate fruit juice. 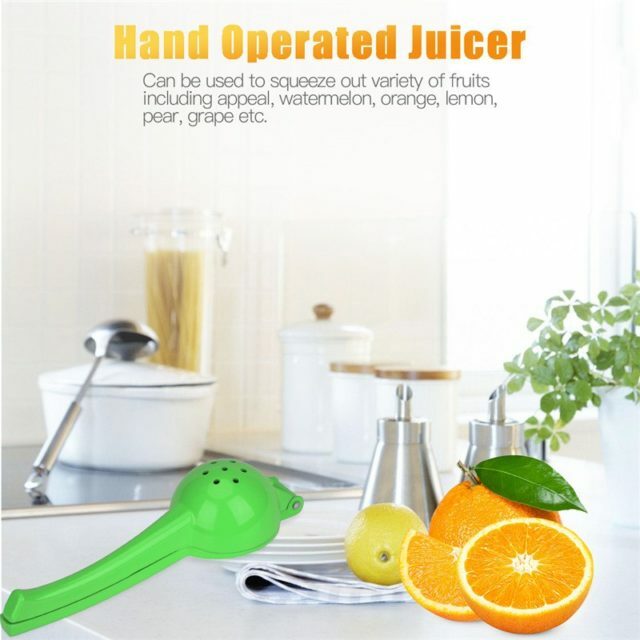 It is great for squeezing out many fruits like apple, pear, watermelon, lemon, orange, kiwi, passionfruit etc. Excellent juicer!!! 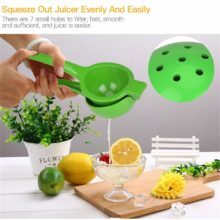 Exactly the same as expected! Size under lemons, small oranges, tangerines, lime. 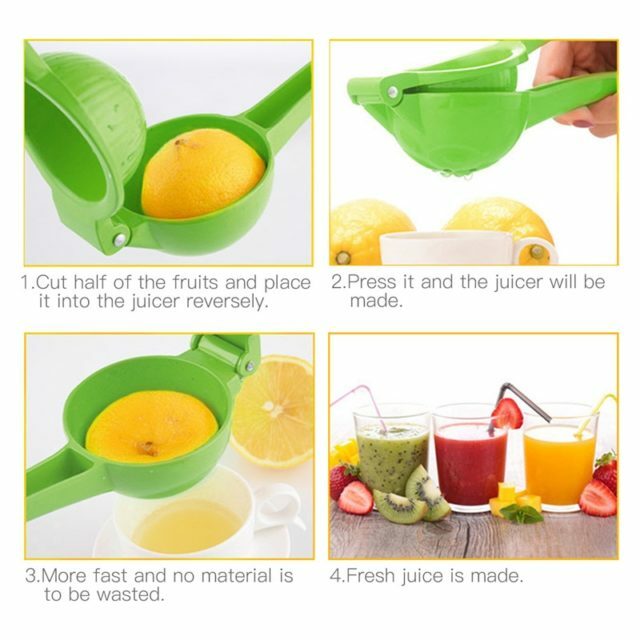 Well received the press citrus fruit it looks solid, thank you!